Prefabricated Houses Manufacturer in Delhi, Prefabricated Houses Supplier in Delhi, Prefabricated Houses in Delhi. We are a significant organization, engaged in offering an enormous range of Prefabricated Houses. The offered prefabricated houses are fabricated by our professionals in sync with the international norms by using high-grade basic material and imported advanced technology. These prefab houses are available in different sizes and designs. 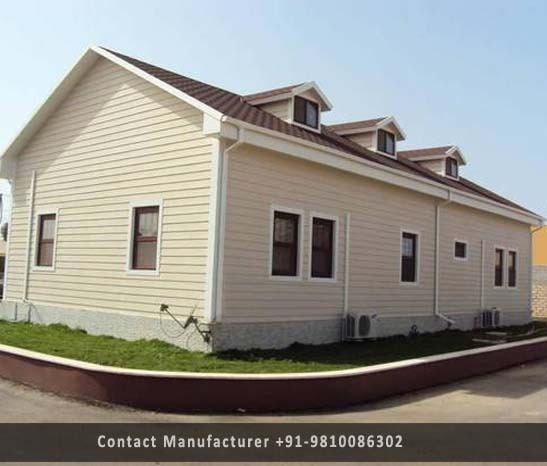 We are manufacturing these prefab houses in various technical specifications and dimensions that can be customized as per requirements of the clients.